We met CloudLock in part 1 of our series as they were just at the outset of starting these very same efforts themselves. 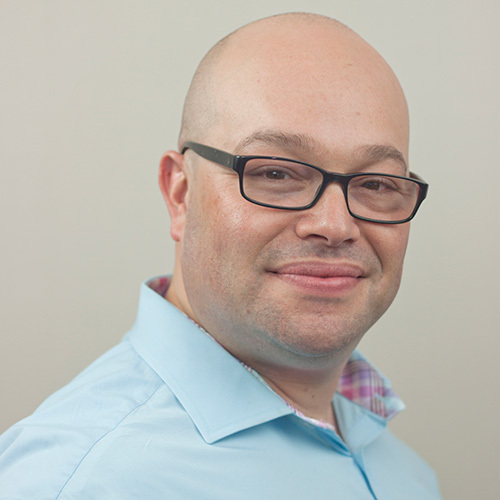 With a goal to grow their employees this year by over 50% in the Boston marketplace, there was a very definite need to get things moving quickly and effectively on the employment branding front. As a company still relatively new to the market and without the budget or name recognition of the larger firms, they had to tackle two big issues right away: awareness and resources. I have been working with CloudLock on several of these employment branding initiatives over the past several months with my firm, Red Pill Talent, and wanted to share with you some of the actions that have been successful for us that can help you on your own branding journeys. These efforts are still evolving, but here are some of the ways we achieved really great results right out of the gate. 1. Using video to share the CloudLock culture and story. Video is a key element to any effective employment branding effort. As I wrote in the recently published LinkedIn Recruitment Video Playbook, being honest and genuine is key, as well as choosing a direction for the video - humor or heart. As a fast growing tech startup with a genuinely unique and sometimes quirky culture, we felt humor fit best, but did go with some heart too. These videos were of little to no cost to produce and the return on them has been tremendous. 2. 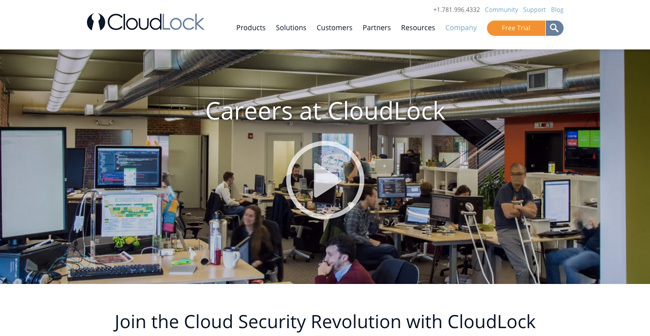 Re-branding of the CloudLock’s careers site. Working effectively with the marketing team is critical to a successful employment branding effort. None of the content, video, or images, would be worth it if we didn't have a top notch careers site in place, as that is ultimately where we want to drive potential applicants watching or viewing our content or engaging with us on social channels. Take a look at where we were just 5 months ago and where we are today. 3. Giving candidates a closer look through authentic employee photos and content. There are obviously many components that go into a successful employment brand. Videos and a great careers site are vital, but there is also a need for a content strategy that goes beyond this and, quite frankly, doesn't take the time to create that a new website or video might. 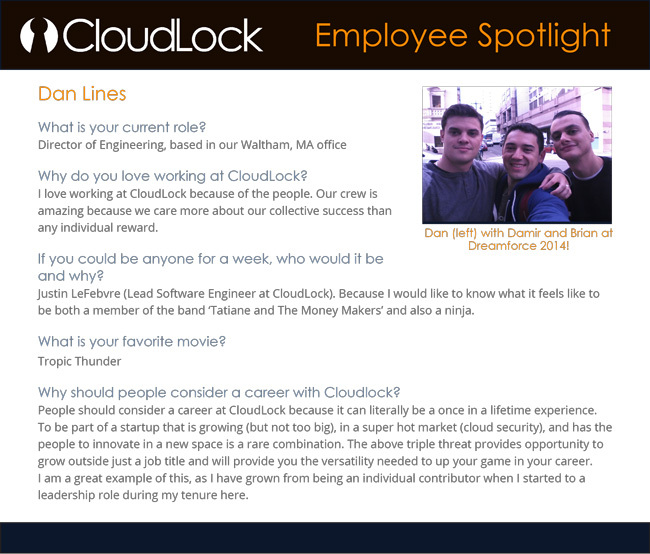 CloudLock chose to go down three main paths: employee generated images, monthly cartoons and employee spotlights. The results have been great so far. Below are just a few examples. This collage was all employee generated content - no professional photographers! This particular share from CloudLock’s LinkedIn Company page garnered 4200 impressions, with 116 clicks and 10 likes and shares on it’s first post. The team has embraced using their own images, often sharing ping pong matches, get togethers and events they attend. They are sharing these on their own social channels (LinkedIn, Facebook, Google+, Twitter, Instagram, etc.) which has also resulted in an up-tick in referrals! 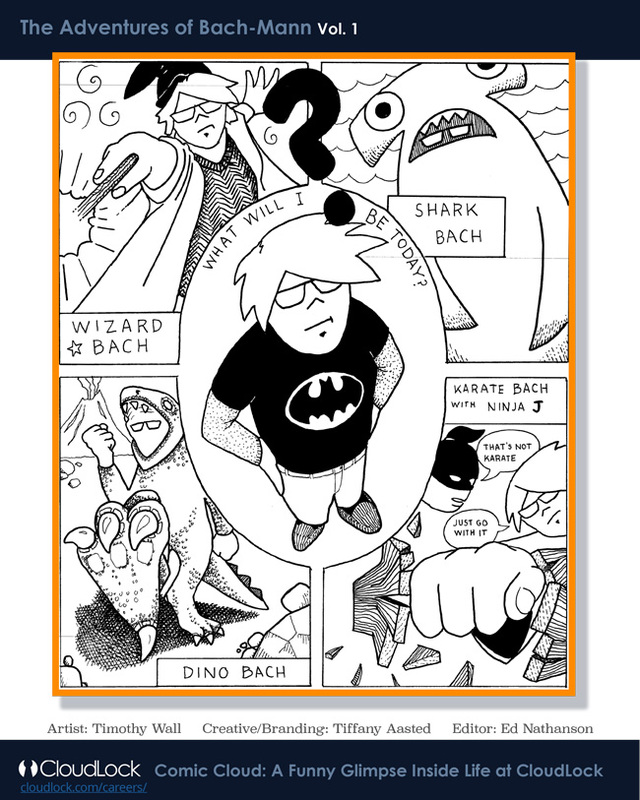 Created by one of CloudLock’s employees, Tim Wall, this is a series of cartoons we are producing that is highlighting our culture in really unique way. This particular post from the CloudLock’s LinkedIn Company page garnered 3,000 + impressions, 45 clicks and 7 likes and shares on it’s first update post. We also have been running a monthly series highlighting employees. These are consistently getting 3,000 - 5,000 impressions and many clicks, likes and shares per update post. 4. Using PR to help spread the word. An often overlooked aspect in any employment branding effort, a good PR strategy is key to helping drive awareness. In competitive markets like Boston, with “hot” tech startups everywhere, it is not enough to just rely on social content to drive your employment branding efforts. CloudLock has been working with the PR agency InkHouse, jointly strategizing how we can take advantage of any potential opportunities to speak about the employment market in Boston. CloudLock has also received some great press from a products and company perspective http://www.cloudlock.com/company/news-and-press/ , and they are diligent about sharing these articles in their own social networks (LinkedIn, Google+, Twitter), helping to highlight how strong CloudLock’s growth has been - a great message to send to potential candidates. CloudLock is also working with local Boston publications like VentureFizz to help spread the word about what it is like working at CloudLock. 5. 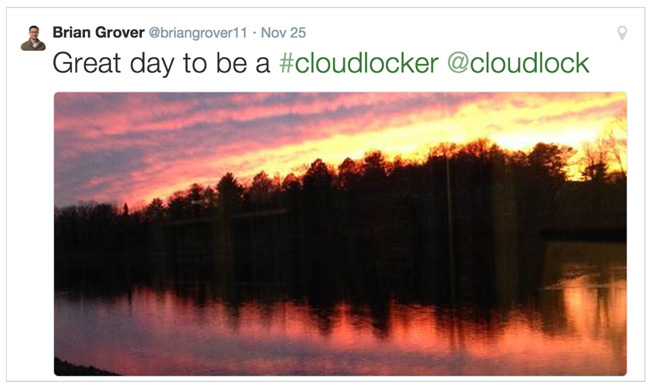 Activating the CloudLock employees to become CloudLock brand ambassadors. You can have great content, videos and a really good website, but if your employees aren’t acting as employment brand ambassadors and taking part in the conversation then you really will struggle developing a top employment brand. A lot of these initiatives can be done with very little (if any) cost, and the results can be really big when done well. 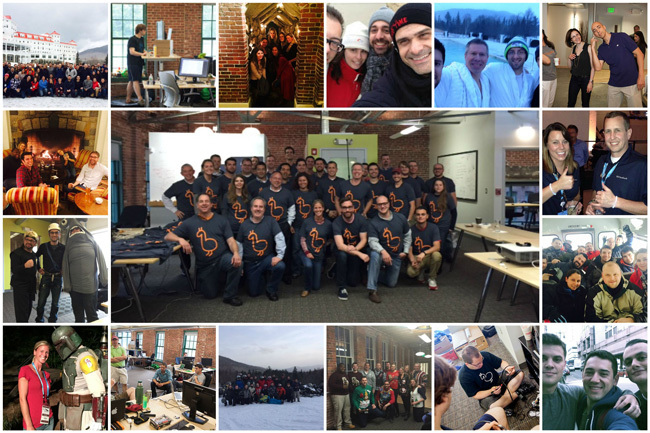 These are just some of the ways CloudLock has begun to stand out in a very crowded Boston market. Next up, we see how a fast growing company smack dab in the middle of Silicon Valley did it….stay tuned for the next blog post!